The Industry Versus Nintendo: Who Will Have the Last Laugh? The subject of this editorial comes from something that happened during the Game Developers' Conference. It featured Mark Rein of Epic Games talking about the all-new Unreal Engine 4, and addressing a question that a Kotaku reporter asked regarding whether or not Epic planned on running it on the Wii U.
I figured I'd ask straight-out, so during the Q&A with Rein, I did. "Will UE4 run on the Wii U?" "Hahaha no." Rein said, with expert comedic timing. The room erupted with laughter. As the laughs died down, Rein continued: "I mean, sorry, it's not really a correct answer. We're not… we have Unreal Engine 3 for the Wii U. Right? And Unreal Engine 3 is powering all kinds of amazing games, still lots of games are being made with Unreal Engine 3. We announced today about a new Unreal Engine 3 license. Unreal Engine 3 doesn't disappear because of Unreal Engine 4. But our goal for Unreal Engine 4 console-wise is next-gen consoles. That's really what our energies are focused on. If you want to make a Wii U game, we have Unreal Engine 3, and it's powering some of the best games on the Wii U already." "The room erupted with laughter"... First, let's not mince words. Incidents like this, where an entire room full of developers straight up laugh at another console is incredibly sobering to Nintendo (and they sort of deserve), but it also shows why outsiders and even insiders in the industry consider gaming to still be a juvenile and immature hobby/profession. Hell, as we have talked about before, just go look on any gaming forum to see the immaturity blossom like spring flowers. Epic's side is easy to see. Nintendo released yet another under-powered piece of hardware, and let's face it- Western developers are not interested in gimmicks, which is what many perceive the Wii U GamePad to be. Nintendo has done very little to persuade people otherwise, even with their own games (or lack thereof). For heaven's sake, there's still drawn-out, boring-as-hell arguments about whether the Wii U should be counted as a generation eight console or not (it should, by the way, as generations are based on time). The entire execution of the Wii U is an immense failure. Third-party support is worse than the Wii. Why, it's worse than the Dreamcast. There is little in the way of support at all, and this is after Nintendo said that they were tailoring the Wii U to developers' input. If that is Nintendo working on third-party support, then I'd hate to see how bad the Wii U would be if they didn't try at all. Third-parties just don't care about the Wii U (and neither does the public, really, at least the ones that know it even exists). It doesn't excite them, and there's no reason to support it. It's not selling, and why waste my money porting and running new engines on a struggling system? This incident has shown that they think, at least Western parties, that Nintendo is essentially a joke to them, a non-player. The Wii U seems to continue Nintendo's seemingly, currently irreparable third-party relations. Thus, it's easy to see why developers would not want to deal with Nintendo and the Wii U. But then there's Nintendo's side. The Unreal Engine 4 is no doubt going to cause huge increases to game budgets. However, that's the rub. We've already seen in this philosophy work its "magic" this past generation. 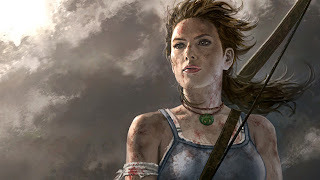 When a game like Tomb Raider is not considered successful (or didn't meet expectations) and it has sold a bit under four million copies to retailers, then something is most definitely screwed up with the industry business model. Also, when multiple games do well for a studio, and one stinker shows up and dooms the company into nothingness, then again, something is most definitely screwed up with the industry business model. even meet your publisher's expectations. We have seen so many studios close this past generation, and with costs and budgets no doubt escalating in the future, there seems to be even more risk involved with creating expensive, bloated budget games. Does anyone want to make an estimate on how many studios making games for high-end PCs, the PlayStation 4, and the next Xbox will go in the red and eventually out of business because their one game didn't perform to expectations, or the development cost was more than what was gained? I know most of you don't really care as long as you get your games, but it honest to God scares me, as someone interested in and proceeding to get into the industry. Perhaps after dozens of studios and developers making expensive games close once more, maybe some of the same folks at the Unreal Engine 4 Q&A who laughed at the Wii U, a weak and humbled Nintendo will be the one metaphorically laughing as their Wii U finally picks up and starts selling, generating them profit and all those who once laughed are looking for new jobs. This is not something I want to happen (please keep your jobs, everyone! ), but it's a possibility. I know a certain fan group would love that and find pathetic enjoyment out of that, but with how the industry is currently shaping up, again, it's a possibility. What do you think about the future of the industry? 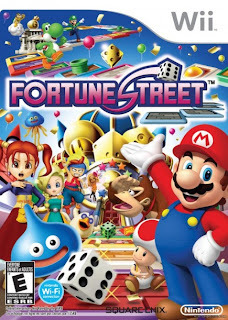 Do you think Nintendo will have the last laugh? Do you think the current business model of the industry is worrying? Do you think I'm stupid in my take of the situation? That's cool, as well. Perhaps I am reading too much into things, or do not have a firm grasp on everything. Feel free to enlighten me. Post your thoughts in the comments section below. Please do not resort to name-calling. It hasn't been a problem at SuperPhillip Central, but we've seen how frenzied other site comments get. We have reached Friday at SuperPhillip Central. Before we wrap up for the week, let's take a look at one of our most anticipated Wii U games, LEGO City Undercover. 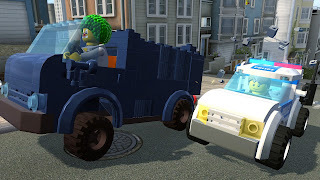 Chase McCain is a cop who has returned to LEGO City to capture an escaped convict. Let's see if you should enlist in the manhunt. Speaking of reviews, SuperPhillip Central's Review Archive has been totally retooled. Check it out here. If you have any suggestions on how to improve it even further, let us know. The Wii U saw an entire month without any kind of retail release, and without releases your console is not going to sell. Wii U owners have had nothing much except the titles that launched with the system way back in November. March has finally given the struggling system some new titles for owners to play. 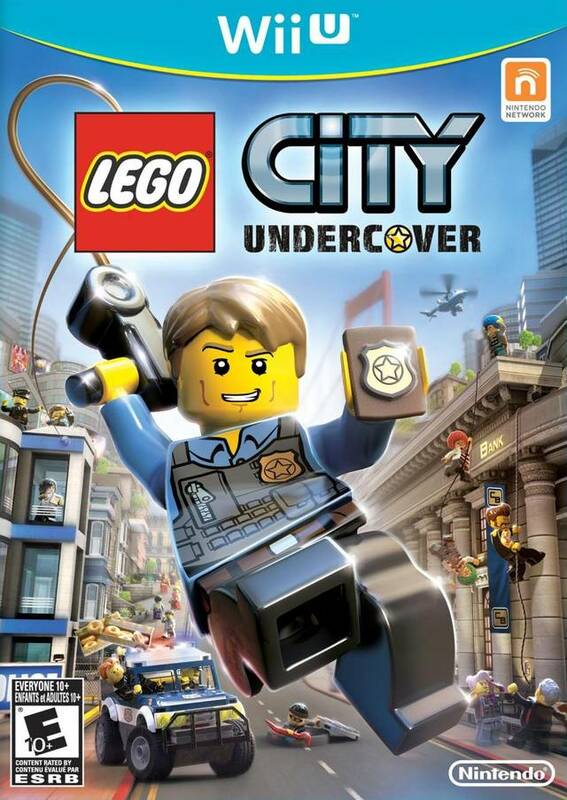 The most exciting of which is a Wii U exclusive from TT Games and Nintendo, LEGO City Undercover. Not only is the title a welcomed and fresh take on the third-person sandbox-style game, but it is one of the greatest [exclusive] reasons to own a Wii U right now. when he has a bad case of insomnia. Our protagonist Chase McCain is back on the beat and has returned to LEGO City when he hears news that the man he helped put away behind bars has broken out, the villainous Rex Fury. In order to learn of his location, Chase will have to go undercover and infiltrate various gangs and even the mafia to gain helpful clues. 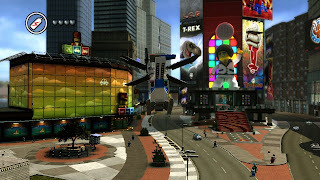 Right away when you play LEGO City, you'll find that the humor is absolutely brilliant. The game presents itself in a cheesy way that makes you can't help but smile. The humor isn't just for kids, the main market for LEGO games, either. No, a lot of references and jokes will go over the heads of the younger mindset, and this game is chock full of references. From a segment of the game that is based off of The Shawshank Redemption to a construction site's foreman who is no doubt inspired by Arnold Schwarzenegger, even having the character not-so-subtly use the former Govenator's movie titles in his dialogue, the references of pop culture are numerous. The other characters in the game are brimming with personality as well, and by far my favorite would have to be the rookie cop Frank Honey, who is so clueless that it makes him endlessly endearing. His dialogue is fantastic and seldom failed to make me chuckle while playing. Chase speaking with Blue at Albatross Island. If you've played a LEGO game in the past, you should feel familiar with how the fifteen levels are structured. 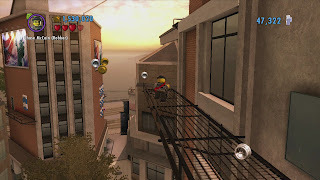 While LEGO City Undercover isn't a carbon copy of past games with the LEGO branding, as you drive to locations and complete tasks outside of the game's fifteen levels, there's still the tried-and-true gameplay. This consists of making your way through levels, using your skills and abilities as well as breaking everything in sight to find objects that can be built into useful tools and platforms to make progress. For instance, busting a certain car allows Chase to use the leftover pieces to build a ladder to reach an otherwise inaccessible area. These missions will have you and Chase going to all sorts of places and participating in all kinds of heists. From infiltrating a museum to steal a ride-able T-Rex skeleton to taking out baddies in a mine, there is no shortage of interesting places to see and missions to accomplish. Pull over, or I will keep chasing after you! While going undercover, Chase will come across various new disguises in missions, granting him new abilities. For instance, the robber can pry open doors and carefully open safes, the miner is able to destroy boulders with his pickax and use dynamite to blow open steel objects, and the farmer can water certain flowers and make them grow, making new platforms or vines to climb on. He can also cross chasms by pulling out a chicken and gently fall to the ground. 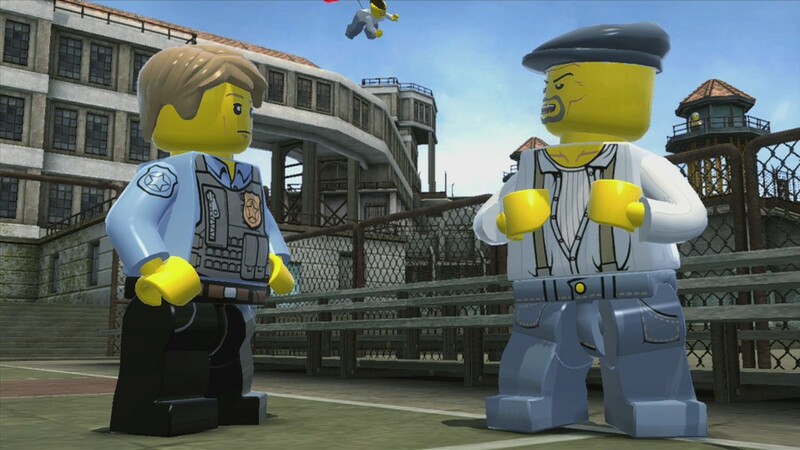 There are eight unique disguise archetypes, but a myriad of mini figure costumes that you can find, purchase at the police station basement, and wear. such as the one seen here. LEGO City is a fabulous open world playground for players to drive, fly, or simply saunter around in. It's incredibly expansive with unique districts modeled after real world locations. For instance, Cherry Tree Hills is clearly an homage to San Francisco with its hills and cable car running up and down the streets, Bright Lights Plaza owes a lot of its design to New York City's Times Square, and Fresco's canal streets and mafia connections are modeled after Italy. The map is massive, citizens prance up and down the sidewalks, and the most entertaining and impressive part of how the city is built is that there is literally something to do and something to collect at every block. Each of the game's districts has a list of tasks and side quests that can be performed. They're all the same category of things such as rescuing a cat from a high place, conquering a district by planting a flag at a specific spot as Chase's astronaut disguise, destroying a Rex Fury statue with dynamite, stealing a vehicle and getting it to a marked destination as the cops try to stop you, beating the clock as you participate in a waypoint time trial, getting your platforming on in a Free Run race against time, and so much more. Each task you complete rewards you with a Gold Brick. 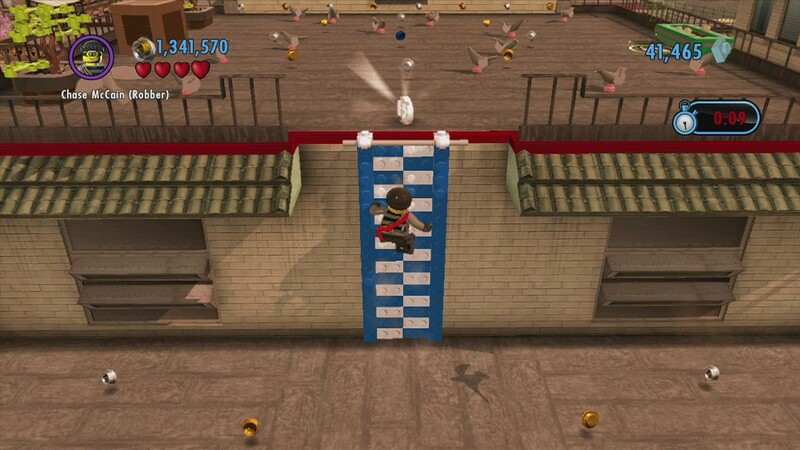 There are 450 in all to gain, and to tell you how much content is in LEGO City Undercover, I have played for 30 hours now, and I am not even at 300 Gold Bricks yet. 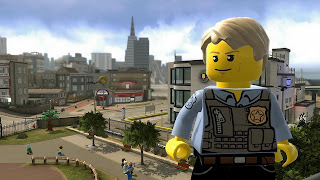 If you're looking for a game with tons to do and you love collecting and exploring a fascinating world, LEGO City Undercover should be on your must-have list. platforming prowess to the test! Navigating through rooftops is part of the thrill. Rooftops hide lots of secrets, from side quests to unlockable character and vehicle studs, to secret bricks used for Super Builds. Platforming plays a big part in the game. 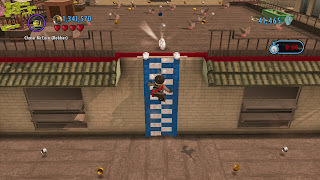 Chase excels at parkour-like actions, such as wall climbing, wall jumping, pole vaulting, leaping over or sliding under platforms, and tightrope walking. You'll need all Chase's tricks to reach the highest vantage points that LEGO City holds. Figuring out exactly how to reach a certain rooftop or area is immensely rewarding, especially if there's something special that it houses. The platforming isn't perfect, but what is? For a game that is exclusive to the Wii U, one might ask what features make LEGO City Undercover only possible on Nintendo's next generation offering. 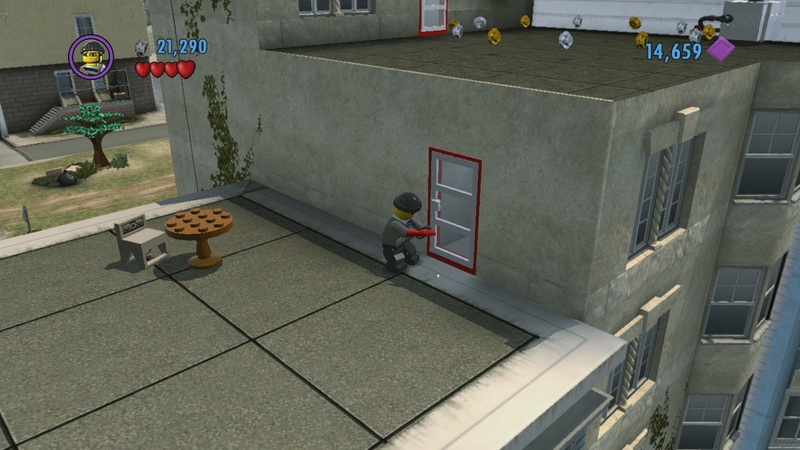 The Wii U GamePad on its own serves as the map of LEGO City, allowing you to survey the entire map through sliding your finger across the screen. It also serves as your communication with the various characters you interact with. The calls come from the GamePad's speakers and also show a live feed image of the person speaking to you. Additionally at times you will need to scan a given area for criminal activity, to listen in on distant conversations, or to just take pictures. This is where the GamePad comes in too. By holding up the Wii U GamePad and moving it around, you can perform these acts with ease. Finally, the Wii U controller is used for selecting new vehicles from call-in points and checking your status and completion progress in a district. Commandeer any vehicle of your choosing. Your insurance will pick up the tab anyway. Open world games are generally rather intensive on the hardware they run on. After all, they have to load parts of the city as you approach them. This is the case with LEGO City Undercover. It's not a perfect game graphically, as there are hints of aliasing, jaggies, and the occasional frame-rate stuttering. I have also had the game freeze on me once in my 30 hours of play. Thankfully, the game auto-saves after every brick and special stud collected, in addition to side tasks completed, so no real progress was lost. 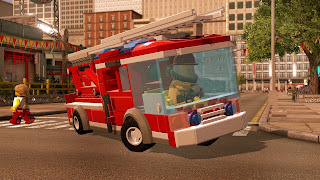 LEGO City is quite a beautiful place with plenty of points of interest to gaze at in wide wonder. On the sound side of the city, Undercover sports a 70's cop show-type soundtrack, one that is surprisingly well done. I found myself humming along as I played. The voice acting is sensational as well, sporting terrific dialogue delivery from every character in the game. All of these components add up to a particularly impressive presentation, except for the loading times, which aren't as rampant as some have said, but to actually load the title screen and your save data takes over two minutes to do. After that, the only loading times (which are generally 30-60 seconds in length) to contend with happen on an occasional (but by no means frequent) basis. LEGO City Undercover single-handedly made my Wii U purchase worthwhile. As I stated already, the amount of activities that can be done, places to see, and secrets to find are staggering. Several dozens of hours in and I still have a long ways to go. Content is king, and LEGO City delivers in that aspect. 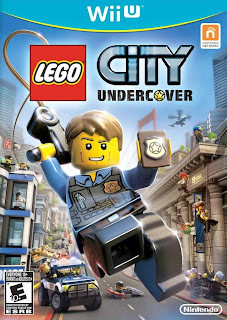 The game also delivers in presenting a story with levels of humor that all ages can enjoy, a city that is well designed with stuff to accomplish at every corner, and a popular Miiverse community that is full of people to talk with, LEGO City Undercover is without question, in this reviewer's opinion, the best reason to own a Wii U currently. 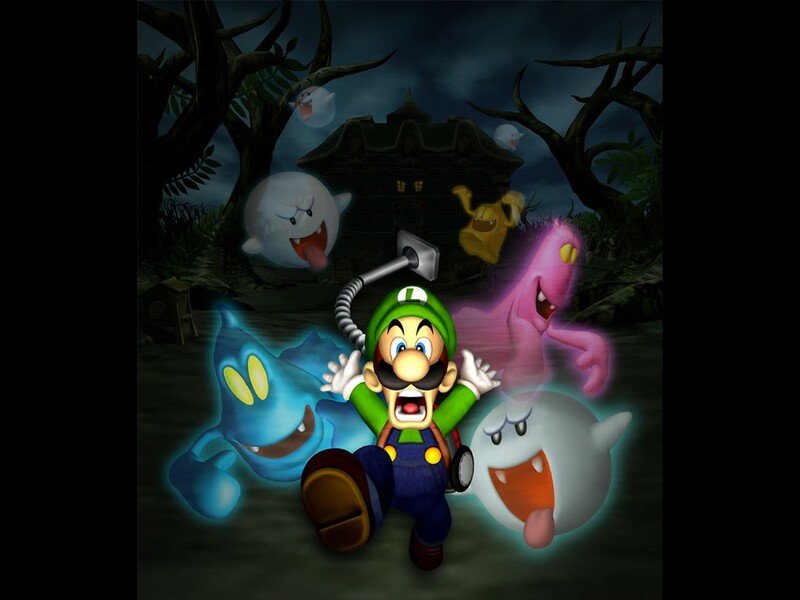 If you are a Nintendo 3DS enthusiast, you no doubt know about Luigi's Mansion: Dark Moon. At least that's what it is called in North America. Our PAL pals know the game as Luigi's Mansion 2, and that game releases today in Europe. This UK ad does a fantastic service in presenting the fun the game possesses. You can expect a full review of Luigi's Mansion: Dark Moon in early April, right here on SuperPhillip Central. Are you ready for more gaming advertisements? SuperPhillip Central has more than you can shake a 30 second TV spot at. This time we're back with 21 more gaming commercials that will fill you with nostalgia, impress you with their production values, or just make you go "wow" in general. These chosen commercials are some of gaming's best, so we hope that you are as entertained by these ads as we were. Note 2: To save everyone from lots of loading, the actual videos are linked to as opposed to embedded on this site. Click the name of the ad to get to the video. We apologize ahead of time for YouTube comment sections. A brilliant commercial for a game that just recently released, God of War: Ascension's ad is a dramatic and emotional one showing Kratos losing the ones he loved, his wife and only child. They turn to ash and that ash gets absorbed into Kratos' skin. The song that plays is one that works wonderfully and pulls on the heartstrings. Releasing today, BioShock Infinite's commercial might not have any gameplay to it, something that I don't usually like a commercial not to have. However, this 30 second ad does well with getting the viewer interested in the game. I love the city in the sky setting that Columbia has, and the commercial also shows the protagonist's ability to use his powers to blast enemies away. Here's hoping a commercial with some gameplay gets released like what happened with God of War: Ascension. Reboots are sometimes viewed poorly by the gaming public. See Devil May Cry for such an example. However, sometimes reboots work out incredibly well. For that example, we turn to Tomb Raider. Crystal Dynamics really turned out a stellar product with their origin story of Lara Croft. This commercial pushes how Tomb Raider is all about how Ms. Croft came to be and got into her treasure hunting ways. Now this is a game commercial! No filler, all stuff within the game. Uncharted 3: Drake's Deception dazzled players with its gorgeous graphics and sensational set pieces, all culminating in the end of the trilogy on the PS3. The games do a fabulous job of weaving story with gameplay, so much that makes you feel like you're playing an Indiana Jones-like adventure. A commercial created with live actors portraying the numerous PlayStation all-stars, the ad for Sony's answer to Super Smash Bros. shows off characters Nathan Drake, Cole MacGrath, Kratos, and a CG Sackboy dueling on a dark and dilapidated alley. No worries if you're getting creamed currently, Kratos, as your human partner and you have apparently been through worse. Seamlessly switching between comic panels and gameplay from the actual game, this inFamous commercial is an excellent example of how to weave art and gameplay together to a fantastic effect. inFamous is a great game and this commercial more than shows why many PlayStation 3 owners claim it is one of the best exclusives for the system. The Kevin Butler PlayStation 3 campaign was a terrific one. It featured a fictional Sony executive presenting the various games being advertised. This particular ad is all about Killzone 3, a game that many stated was PlayStation's answer to Halo. This ad, like the others, does great at showing off gameplay while displaying a fine level of humor. Cleanup aisle you, indeed. This second Kevin Butler PS3 campaign ad is all about one of my favorite games for Sony's third home console, Ratchet & Clank Future: A Crack in Time. While that game was one of the last truly great Ratchet & Clank games, one can only imagine how cool it really would be to have the franchise's trademark weaponry in the real world. Just don't let that shady organization have them before I do. One of those commercials that feels like it comes straight out of 90's Sony, Sly Cooper and the Thievius Raccoonus's ad shows investigators doing what they best... investigating... a stolen item in a vault. What they come across is a hole burrowed none other than a wild raccoon. The real Sly Cooper is much more civil, a sharp dresser, and always knows just what to say at a given moment. Meanwhile, a wild raccoon will just go through your garbage and make a mess of things. Sly Cooper: 1, Wild raccoon: 0. Another gameplay-empty ad that shows enough to intrigue its viewers to interest them into trying out the game, Mirror's Edge's commercial shows Faith participating in the types of gameplay that players will find themselves engaging in if they picked up the game. Mirror's Edge was a wonderful experience, and it's a shame that there's no hint of a sequel coming from EA's direction. Nintendo has a habit of putting their characters into the real world for their commercials and to interesting results. Luigi's Mansion: Dark Moon released this past Sunday, and its ad features a boy investigating his dark home. Picking up his own version of the Poltergust 3000, he comes across a room full of ghosts. What makes this commercial special is how elements of the game get put into reality, and like I said, the results are quite interesting. We're going on a Mario kick for a little bit, so stick with me here. An ordinary game of doubles tennis starts out innocently enough, but soon the colors of the Mushroom Kingdom seep into reality. The court transforms into a mushroom pattern, and the tennis participants have their clothes change into those that one's Mii can wear in Mario Tennis Open. This stop motion animation TV advertisement does a great job thrusting viewers into the colorful world of Paper Mario: Sticker Star. The voiceover also does an admirable effort in presenting what the game is all about within the brief 30 second time period. Although the final product, the game, did not reach the same heights as previous entries in the Paper Mario series, Sticker Star still was a load of fun. Part of Nintendo's excellent "Wii would like to play" campaign (much better than their Wii U campaign, but what isn't better than that? ), the Super Paper Mario commercial shows a grand amount of gameplay, and Super Paper Mario's gimmick, the perspective shift between 2D and 3D. Both are shown prominently throughout the ad, and the gimmick is even shown in the room the players are standing in with the camera shift. Mario and Sonic's third Olympic outing saw them heading to the Summer Games in London. Before that, however, they needed to rub elbows with English royalty. Methinks that chili dogs are not on a traditional royal dinner menu. However, when you have Sonic in your company, you bet they should be. For the Mario version of this ad, click this link. This is a cute and short ad that shows the hand of Mario trying to situate an indigo Game Boy Color on a golf tee. After a second try, he winds up his shot and sends the handheld system flying, bouncing across the screen. The commentary by Mario is adorable, and that alone sold me on the game back as a younger version of myself so many years ago. Let's continue the Mario sports theme we have going on here. Poor Donkey Kong just cannot defeat Mario, whether it's when he kidnaps Pauline or in this example when they're playing tennis atop a lime green Game Boy Color. Unlike Mario Golf, I missed out completely on Mario Tennis. I'm hoping that the game soon arrives on the Nintendo 3DS eShop sometime soon so I can rectify that. Looks like the kids are back to visit the animals. That is exactly what Animal Crossing: Wild World is all about. The game indeed does continue on whether you're there or not. The DS version introduced Wi-Fi play, so up to four people could play together in a host's town, digging up fossils, planting and watering flowers, as well as talking with the animal denizens. I eagerly await for not only Animal Crossing: New Leaf, but what Nintendo's advertising department will do for the game. Here we have a commercial that shows the struggle of Little Mac, a fighter defeated by King Hippo, and looking for comeuppance. Thankfully he has the help of Doc Louis to coach and train him to be the fiercest fighter around. No Glass Joe or Mr. Dream will stand in his way now. A commercial filled with quotable lines and immense levels of humor, Punch-Out!! is one of Nintendo's greatest ads. Check it out and see what I mean. Note: It's even better if you have nostalgia for the NES classic. If shows like Deadliest Catch do nothing for you, then I'm with you. Who needs to hunt sharks, whales, and whatever else lies beneath the deep blue sea when you have gigantic monsters to topple over? This mention of the Monster Hunter Tri ad is perfect timing for Monster Hunter 3 Ultimate, an expansion to the original game, available for Wii U and Nintendo 3DS. Forget the sharks and bring on the Royal Ludroths! If this dose of commercial carnage wasn't enough for you, why not check out the other three segments devoted to gaming commercials? SuperPhillip Central is back with a new week of content. We hope you're ready, willing, and able to find some time to spend with us, listening to some great video game music. 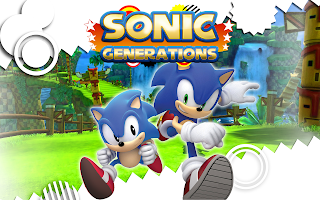 On today's docket, we have music from Fire Emblem: Awakening, Luigi's Mansion, and Sonic Generations. 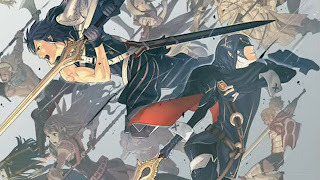 Fire Emblem: Awakening finally released in North America last month, and if you could find a copy (no thanks to shipment problems), you probably enjoyed the game. Our neighbors across the ocean have yet to get the game, but perhaps hearing some music from the game will make their wait shorter. Actually, it will probably make the wait even harder. Sorry, PAL pals. Didn't think that one through. Id (Purpose) is a terrific and dramatic track with a deep choir backing it. It's one of my favorite tunes from the game. Speaking of Nintendo 3DS games, Luigi's Mansion: Dark Moon came out yesterday, and the Year of Luigi has officially kicked off. We recently retro reviewed Luigi's Mansion in anticipation for the game. You can see that review here. Why not continue the celebration with a track from the GameCube original? The way Luigi hums along with the track is adorable and quite humorous at the same time. We go from the plumber in green to the hedgehog in blue with Casino Night Act 2 from the Nintendo 3DS version of Sonic Generations. The 3DS game had its own set of zones specific to it. However, the end product was much less reliable as a fun time with poor level design and some insanely frustrating sections. This jazzy iteration of the Casino Night theme gives me the feeling of being in New Orleans. 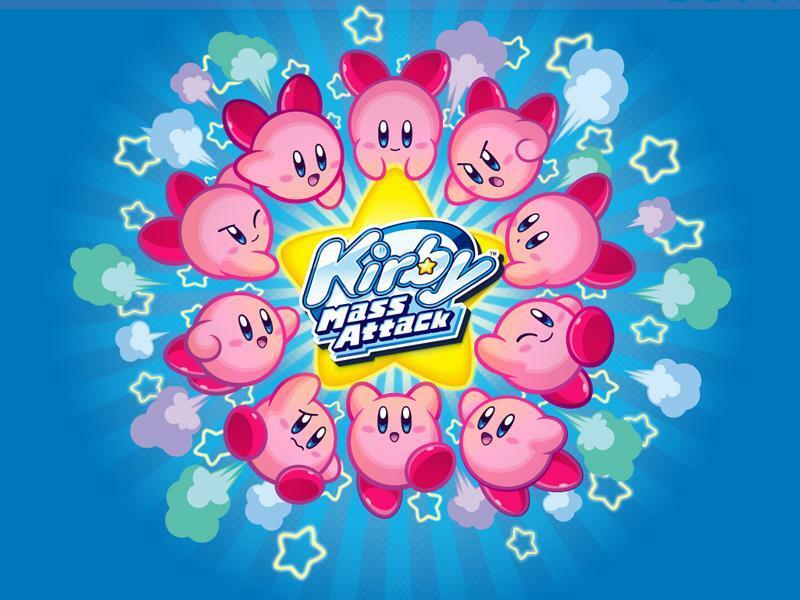 Kirby Mass Attack continued the pink puffball's love of starring in experimental and innovative games on handhelds. 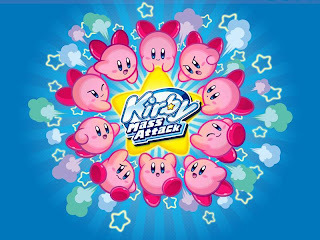 Kirby saw multiple released on the Nintendo DS with Kirby Mass Attack being the final game, and one of the system's last big titles. It featured up to ten Kirbys working together to take down colossal foes and adventuring through colorful levels. If you haven't tried the game, you should, as it comes with several unlockable mini-games that could be their own standalone titles! 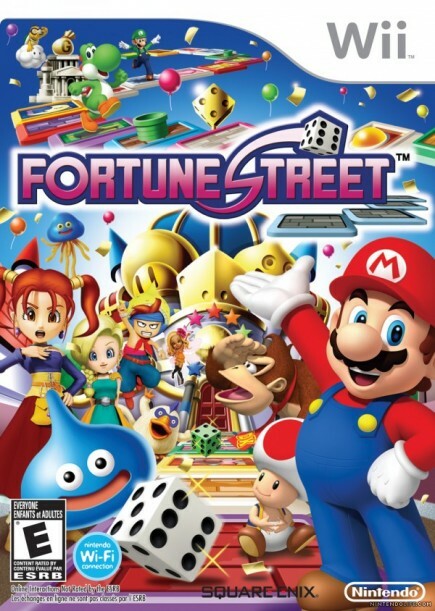 Fortune Street is the first entry in the Itadaki Street franchise to reach Western shores. In PAL territories it is known as Boom Street. No matter what you call it, you will get Monopoly-inspired property-purchasing, stock-buying-and-selling, and auction-winning. Yes, the rules take some getting acquainted to, but once you do, you will be wheeling and dealing with the best of them. This edition of SPC's Favorite VGMs has reached its conclusion. If you are amiss because you want more music, then check out the VGM Database where every song every mentioned is there.